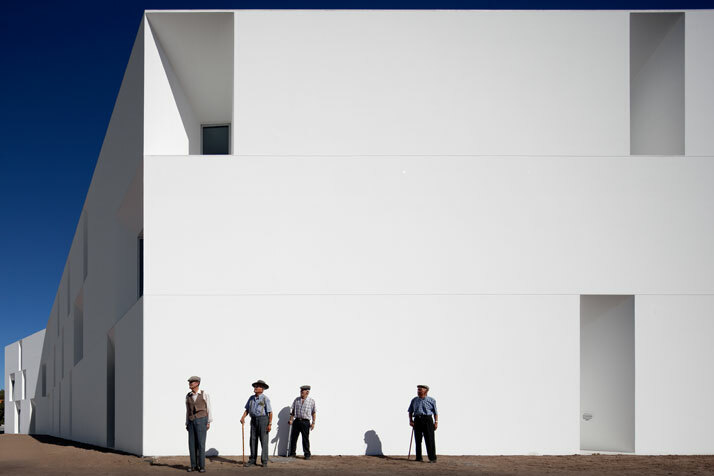 Up until this day, when we think of nursing homes we would never bring such an image like the one that follows to mind! 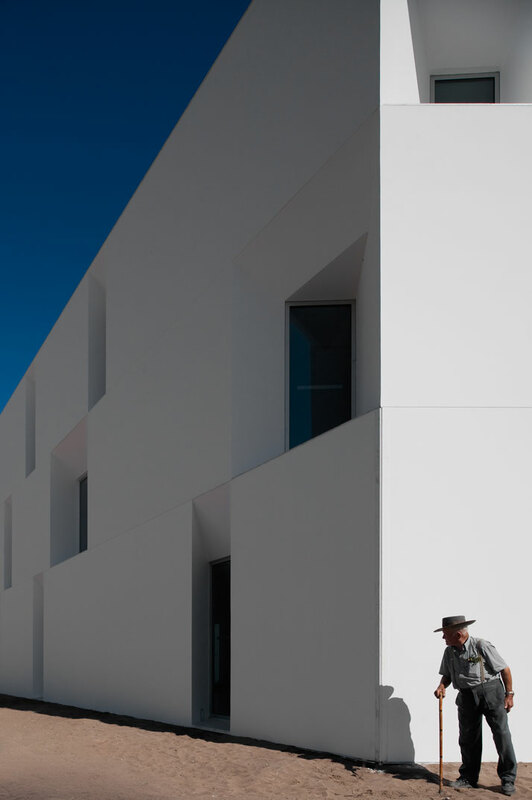 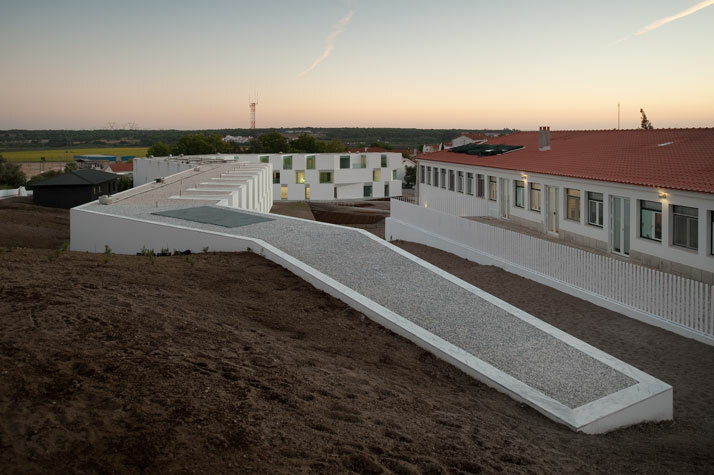 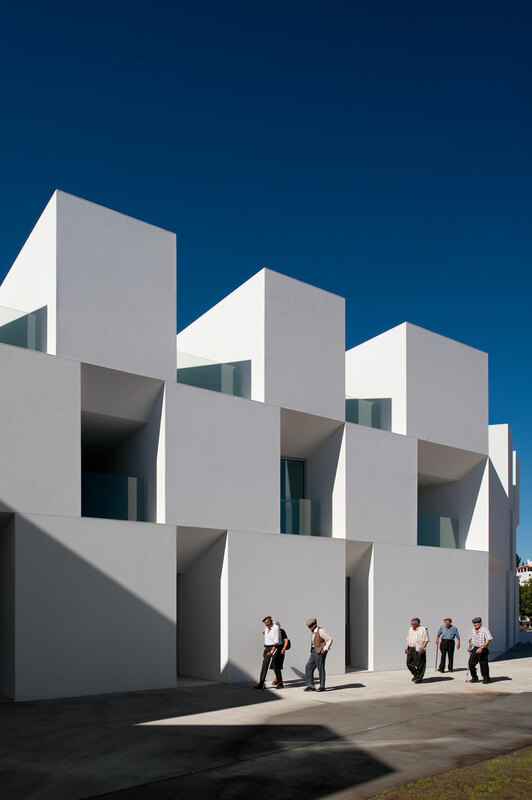 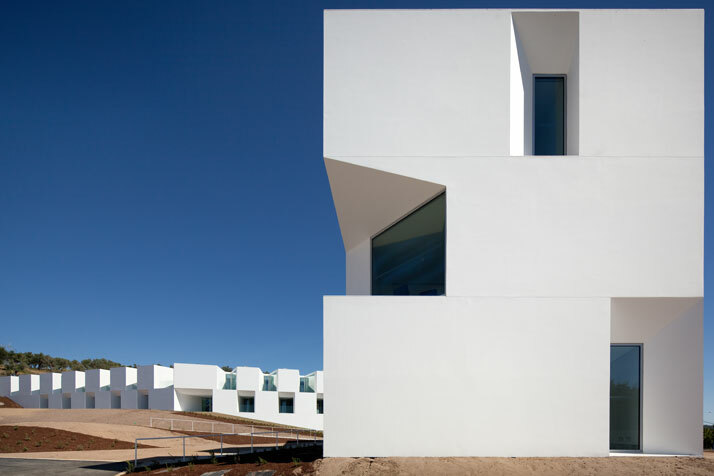 Portuguese Aires Mateus Architects bring a new style to the architectural design of a nursing home in Alcácer do Sal, Portugal; the architects designed the project according to an attentive and thoughtful reading of the way of life of a very particular community, the elderly, who live in a kind of micro-society with its own needs, rules and values. 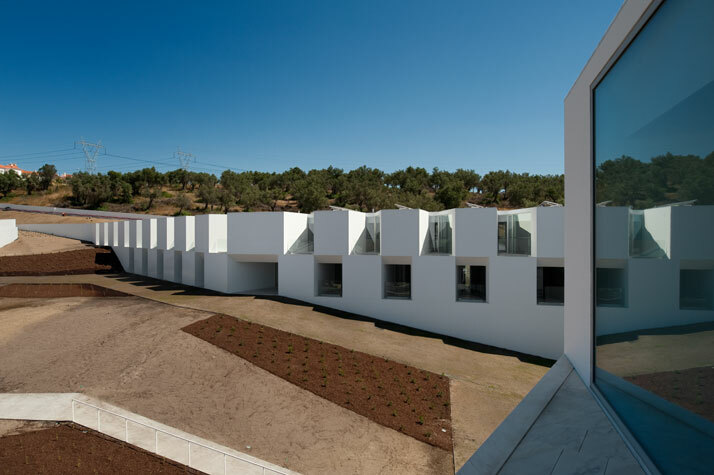 This luxury nursing home with the ultra-modern design acts as a hotel and a hospital for the elderly; Aires Mateus Architects looked for a reinterpretation of the program where a combination of social and/or private would be provided for the residents. 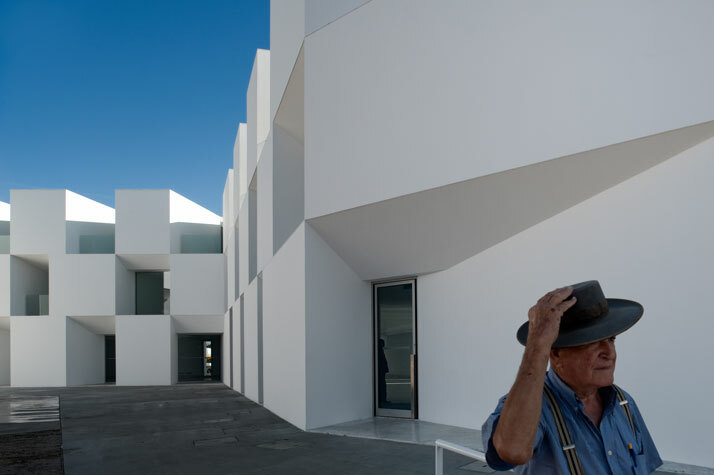 The need of a social life for the elderly visitors was responded, and at the same time of solitude. 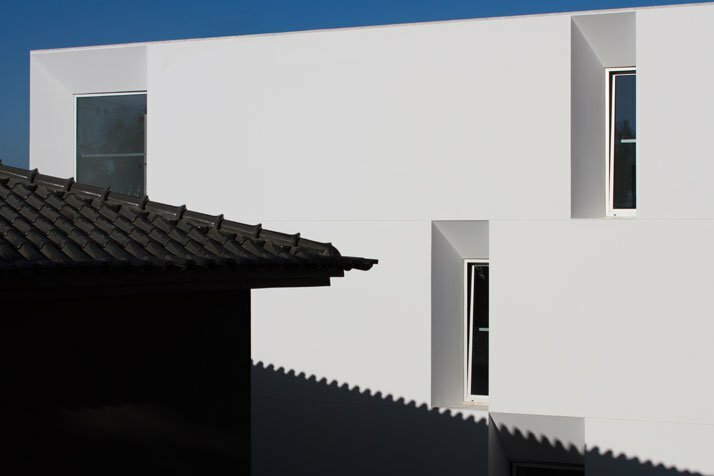 Independent unities aggregate into a unique body, whose design is expressive and clear. 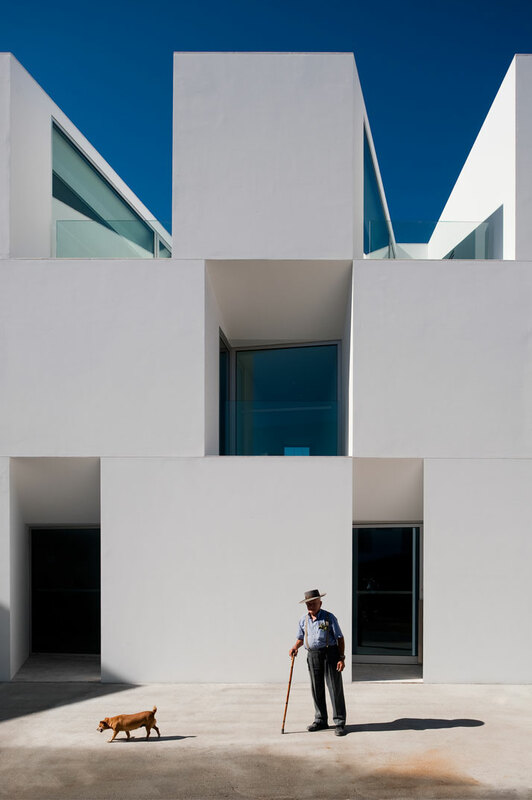 The reduct mobility of the elderly who will live in the box house suggests that any displacement should be an emotional, sensitive and variable experience. 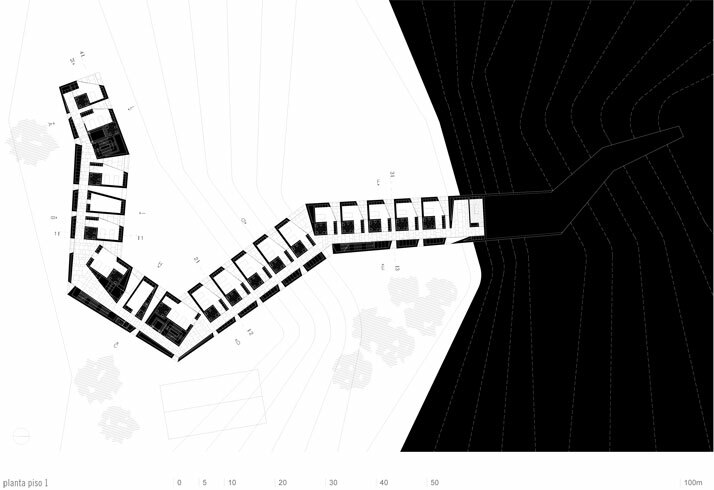 The distance between the independent units was measured and drawn to turn the idea of ‘path into life’, and its ‘time into form’. 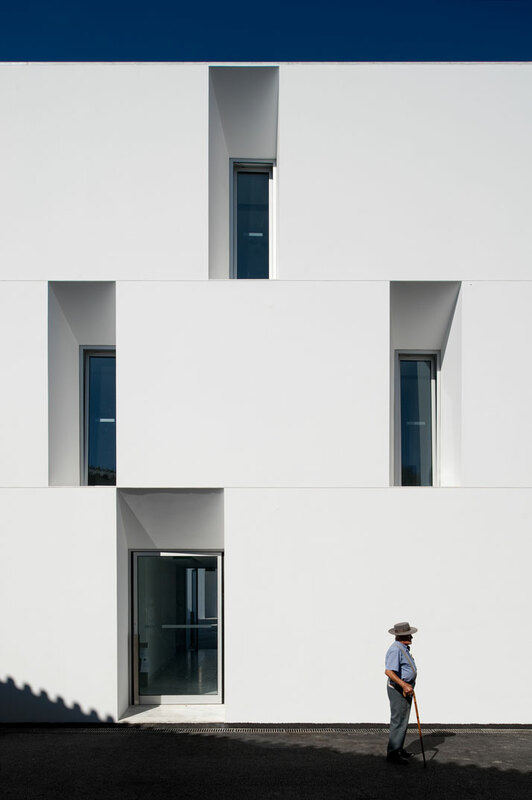 The minimalist building, designed path, is a wall that naturally rises from the topography: it limits and defines the open space, as it organizes the entire plot. 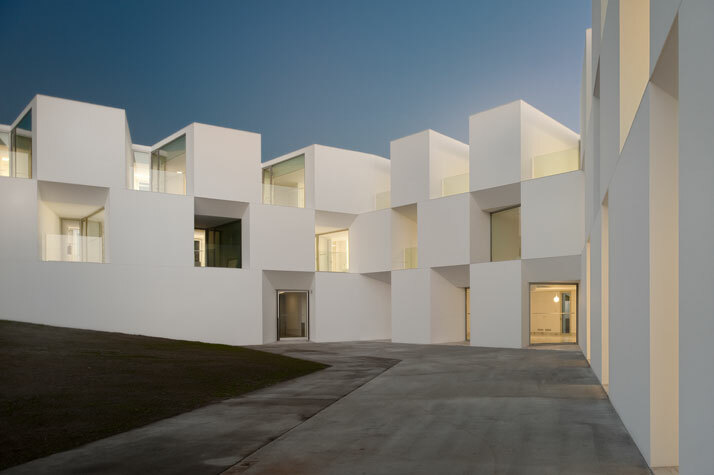 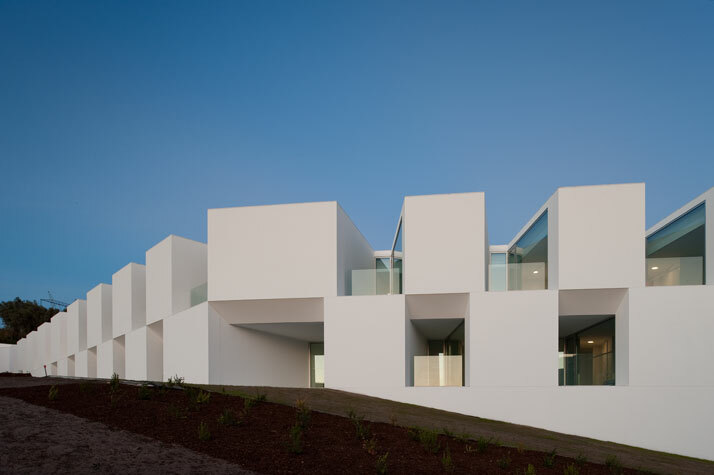 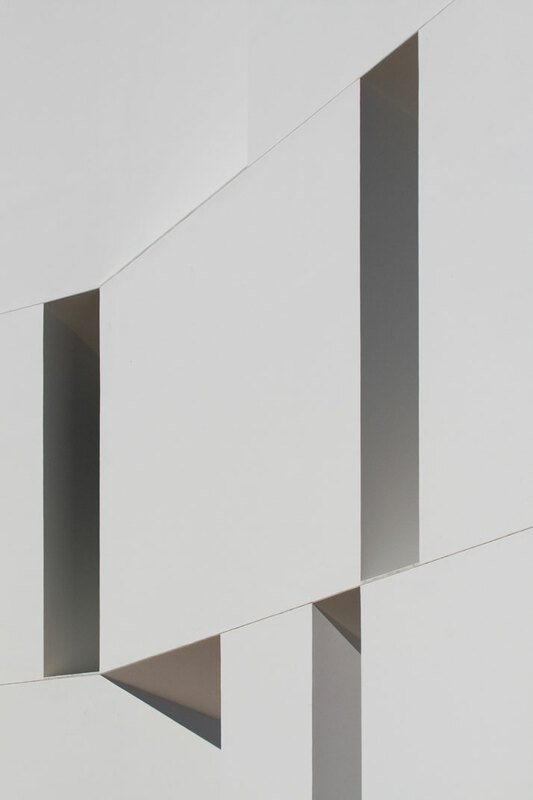 The building façade despite its all-white appearance is reminiscent of a checkerboard, where the white surface is perforated at intervals by recesses to shade its glazing. 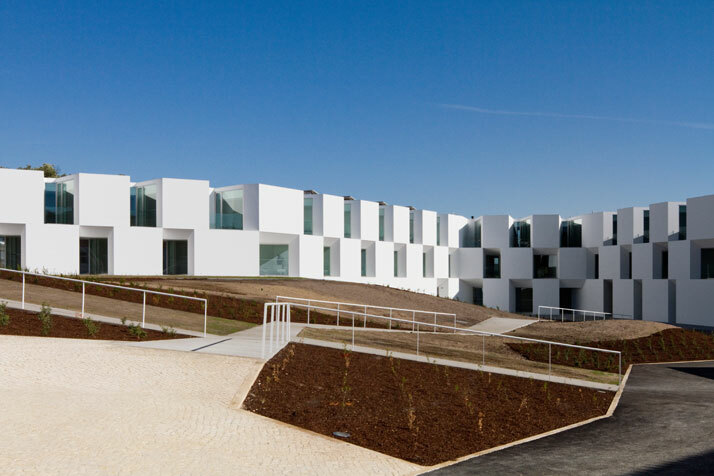 The nursing home architectural design is twisted over the site, rising and falling with the topography of the landscape, and an adjoining landscaped garden is pulled off to the roof at some parts. 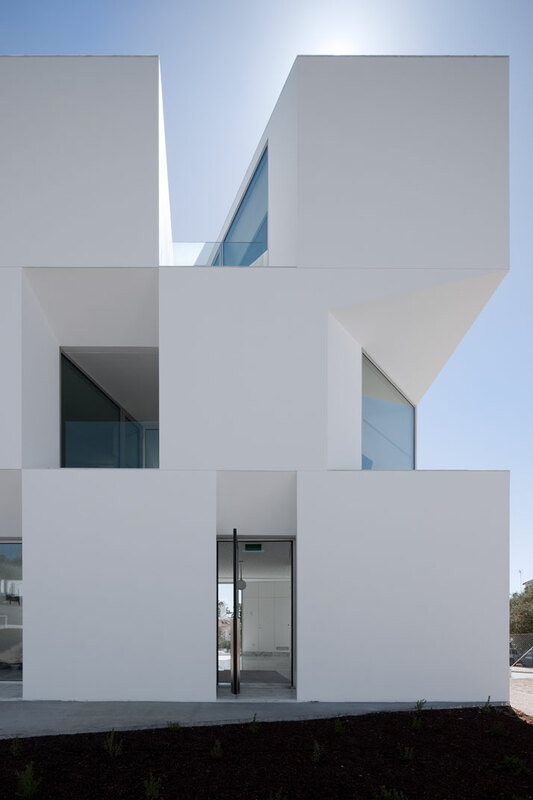 This simple but well articulated building with the geometric shapes and the large openings with knowledgeable recesses to provide sun shading and individual balconies to each room is very well thought out. 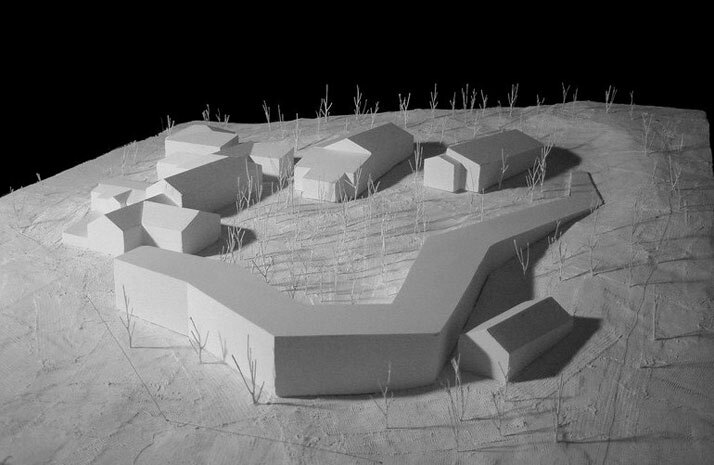 The insertion in the site is also very clever, as the building meanders in the landscape and almost disappears into the hill at one end. 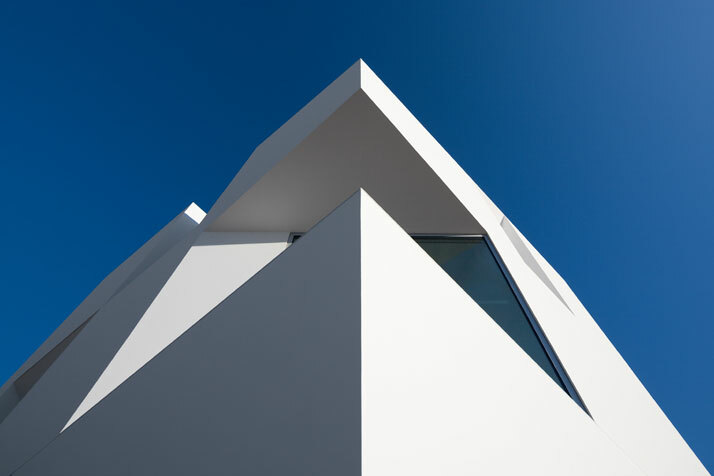 Furthermore, access to the top of the building was given. 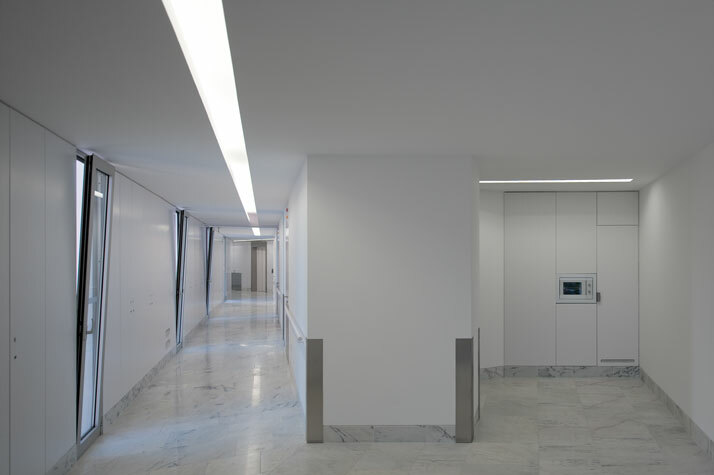 The interiors are equally minimal and luxurious as the exterior design; the interior follows the exterior design scheme in all white, with white marble with light grey veins in the communal areas, white washed walls and light lines on the ceiling. 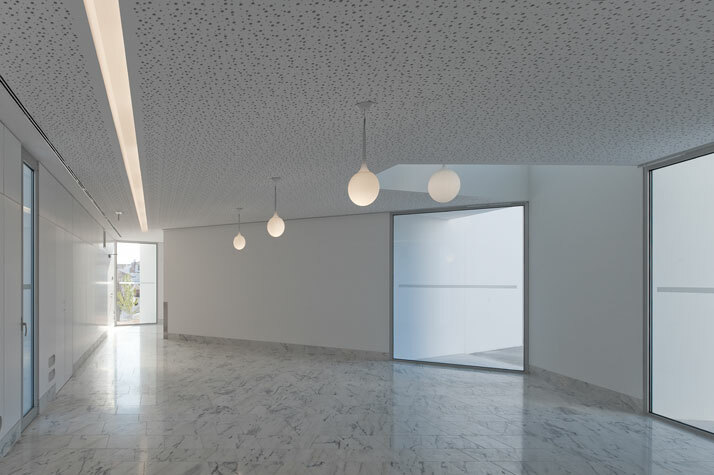 The communal areas have also been treated with a touch of luxury by Artemide Castore Suspension lighting. 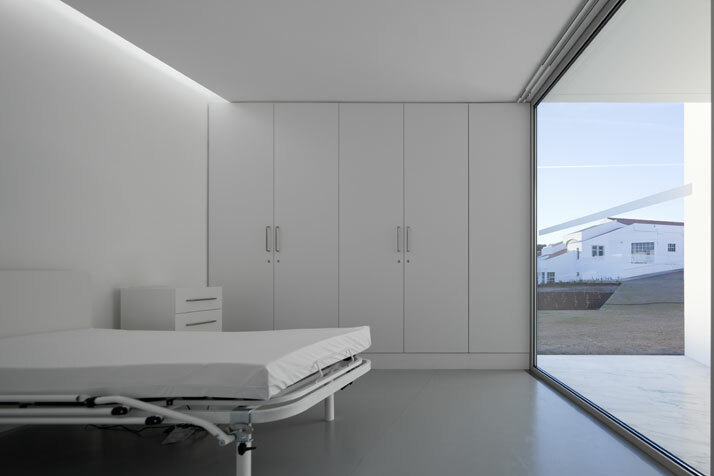 The rooms for the elderly maintain the all-white design scheme, with anti-bacterial hospital flooring in light grey. 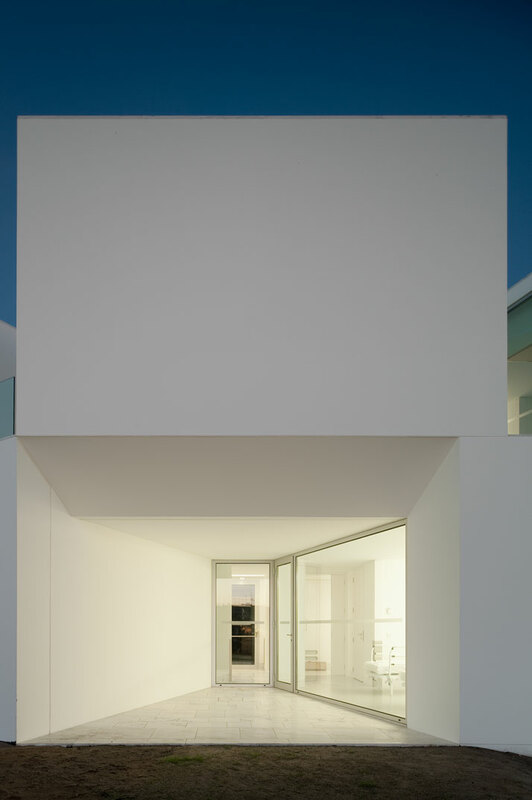 However, appealing and modern these white surfaces in the interiors might be for a person my age, I personally believe that the lack of visual contrast between the surfaces and apparent way finding markers could actually make life pretty difficult if I was a senior, where my vision would probably be impaired. 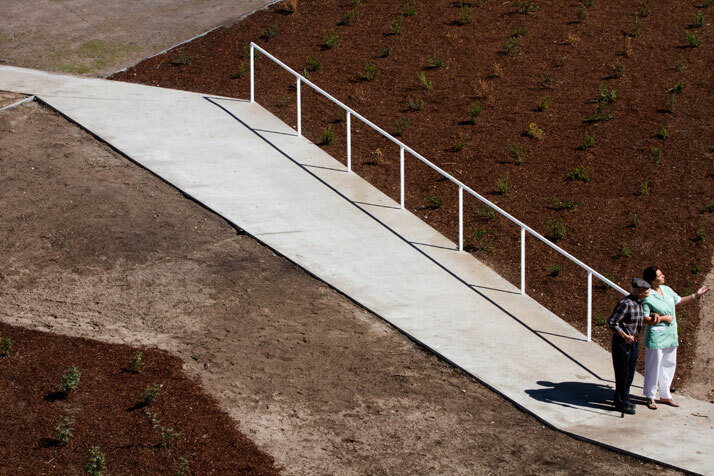 The seniors might face a difficulty in seeing the handrails, and in distinguishing between walls and floors. 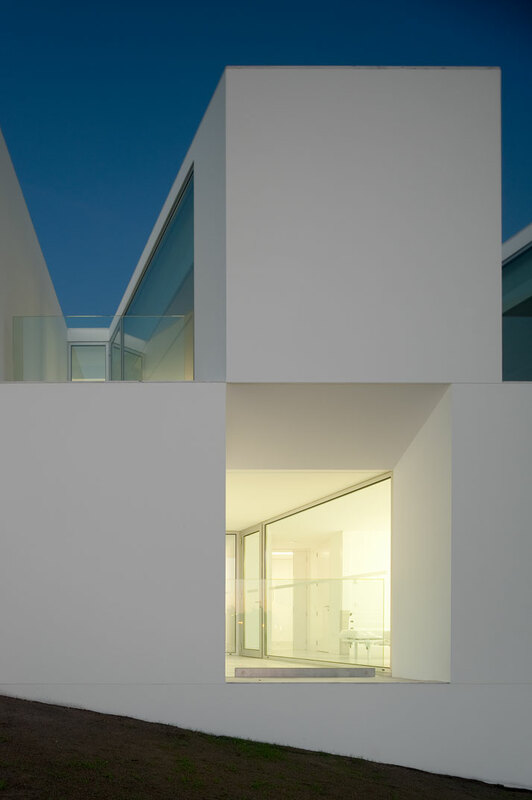 However, architecturally this is a beautiful building where the access granted to the outdoors from each room is very important for the elderly; I especially like the idea of giving a view and a private ‘court’ to each resident. 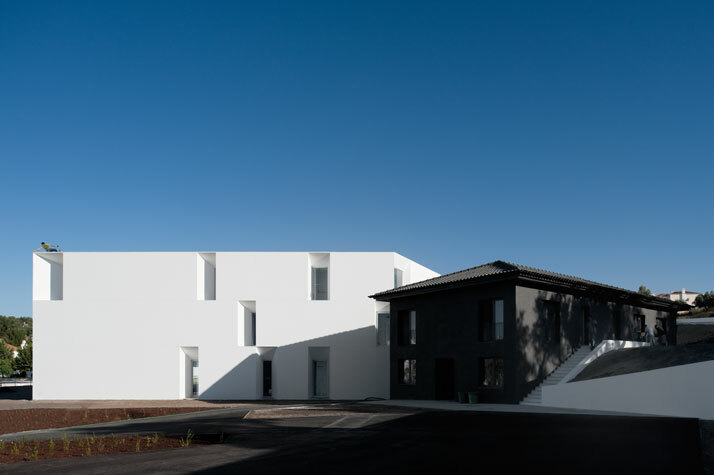 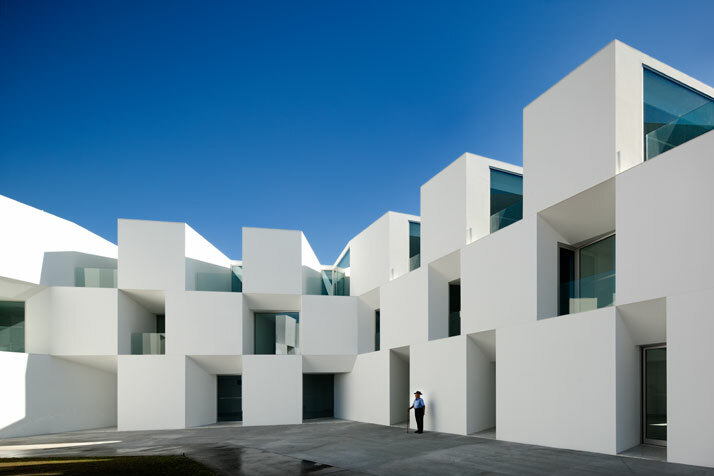 This project by Aires Mateus Architects clearly states that nursing homes don’t have to be traditional, and it is good to see that there are attempts here and there to come up with something different.